GET MORE SLEEP ... you won't need to stay up and check your tickets all night!!! Choose to receive YOUR results by text message, email or both. Receive results quicker (and more accurate)....Sign up TODAY!! COMING SOON ---- Mobile Site!! Yeah, it's been a while. Actually, a long time coming. But, we're working on it. Get ready!! You will notice that this is a ONE-OF-A-KIND website with the tools to help you manage your lottery pool and keep your members informed and engaged. The only alternative to using this website is what you are doing now. Which is most likely using a spreadsheet and physically copying the tickets and staying up late to watch the drawing and check the results for your tickets. Right? Try this website for 30 days free. Enjoy the extra sleep you'll get. Notice the smiles your members have on their faces when you see them the next morning. THAT makes it worth it. Import Tickets from .CSV File - ** BRAND NEW ** - Use our downloadable spreadsheet to store your tickets. Save the file as .csv and use the import page to bring them into your lottery pool. Send Pool Members an Email - ** BRAND NEW ** - Select the list for your pool and then select the recipients from that list. Enter your message and with one button it will be sent to your members. Easy ticket entry - The ticket entry page has been optimized so you barely need to do anything except key in the numbers, click the colored balls or upload our proprietary spreadsheet. Upload Ticket Image - This is a big time saver and helper. Many pool managers don't like having to scan their tickets and make copies for all the members. This feature gives you the ability to scan the tickets and associate them to the drawing. Your members can view and print the tickets if needed from the member viewing area. 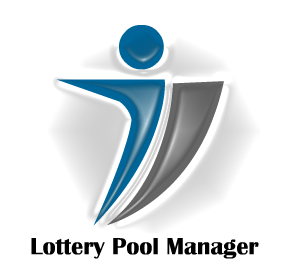 Pool Member Access - Lottery pool members are often kept in the dark of the results until the day after the drawing. Even then, they must rely on a verbal or email message from the pool manager. With this website, the pool members receive an email with a link to view the results. They can also view the tickets that were played for the pool's entire history along with the uploaded ticket image scans (if the manager attached them). Automated results by email or text message - Once you set up your pool members (including yourself) and associate the member list with a pool, the drawing results will be sent to your chosen method of receiving. Free Contribution/Distribution spreadsheet - We spent some time developing a little spreadsheet that will tell you how many tickets to buy and what each member's amount of contribution and distribution will be. It's based on the "shares" method but easily adapted to the "equal" contribution method. A Gift from a Special User (Mary Cordero) - Mary spent some time and created a very nice spreadsheet that carries forward winnings from one drawing to the next. We hope you enjoy it. You can find it on the How to Page. Free Sample Legal Agreement - This is a downloadable Microsoft Word version of a legal agreement for a lottery pool. It can be modified to fit any pool manager's needs. Free analysis tools - History of both games winning numbers with different sorting options. Free Random Ticket Generator - Well, it actually generates random numbers for you to play, not the actual ticket, which would be illegal. Track your winnings - This isn't always the best thing to look at. Let's face it, the odds are definitely stacked against anyone winning these two games. Verify your account by responding to the auto-generated email. We just uploaded a tutorial video to help managers enter their pool members and associate them with a list and that list with a pool or pools. Check out the video here. Purchase your tickets and enter them into the Ticket Manager page using your preferred method. if you've decided to use the automatic notification, you will receive an email or text message when the results are official. Detailed instructions for setting up a lottery pool can be found on our How-to page.